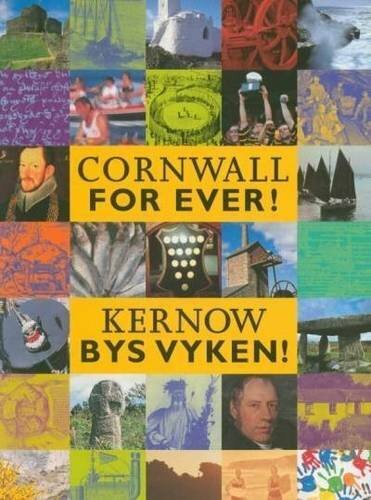 Cornish Risings 1497 - 1508 | Cornwall For Ever! Henry Tudor fought England’s King Richard III at Bosworth. Richard was killed and Henry made himself King Henry VII of England. King Henry VII closed Cornwall’s Stannary Parliament. Cornish people had to pay taxes to the king, which made them very angry. King Henry demanded taxes to pay for his war with Scotland. Sir John Oby, Head of Glasney College in Penryn, was the collector of taxes in west Cornwall. He made people even angrier by insisting that they pay. Michael Joseph An Gof, a blacksmith from St Keverne, became the leader of an army of Cornish people angry about King Henry VII’s taxes. In Bodmin, a lawyer called Thomas Flamank joined Michael as leader of the army. Michael and Thomas led their army out of Cornwall and set off for London. In Somerset, they were joined by Baron Audley, a skilled soldier. As the Cornish people marched towards London, people from counties in southern England also joined them. The Cornish army reached Blackheath in Kent and set up camp. King Henry’s own army had 25,000 soldiers – twice as many as the Cornish army. Some people in the Cornish army became scared and left to go home. King Henry’s army attacked the Cornish army early in the morning. The king’s larger army began to win the battle and many Cornish people were killed. Thomas and Baron Audley were captured on the battlefield and Michael was captured later. Michael and Thomas were hanged, drawn and quartered in London. Baron Audley had his head cut off. A man called Perkin Warbeck arrived in Cornwall at Land’s End. He claimed to be the true king of England and planned to fight King Henry. Thousands of Cornish people joined Perkin and marched to Exeter in Devon. They attacked Exeter but could not capture the city. They moved on to Taunton in Somerset. Perkin ran away when he found out that King Henry was sending his army to Somerset. King Henry punished the Cornish people for following Perkin by making them pay large fines. King Henry forgave the Cornish people who had tried to overthrow him. They had to pay more large fines to the king, but in return he re-opened Cornwall’s Stannary Parliament. King Henry gave details about forgiving the Cornish people and the reopening of the Stannary Parliament in a document called the Charter of Pardon.